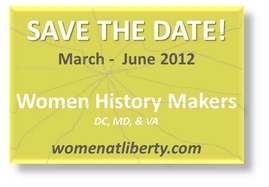 Celebrating women from the District of Columbia, Maryland, and Virginia who are making history! Thank you for your nominations. These women from DC, MD, and VA are blazing a trail, breaking glass, and making history.